One thing Nigerian students are really rocking on campuses right now are Sunglasses! We all know how unpleasant it can be to walk under the scorching sun; but with sunglasses, you are able to protect your eyes and feel relief from the rays of the sun. While protecting your eyes, you could equally look great . Its like using one stone to kill two birds. How cool is that!! Sunglasses have always been an important fashion accessory and now, they come in different styles and designs- Aviator sunglasses, Wayfarer sunglasses, Teashade glasses, Shutter glasses, Mirror sunglasses! The most common on campuses are Wayfarer (this style was made popular by the Rayban brand) and Teashade (they are round in shape and are popularly known as "burna boy shades". 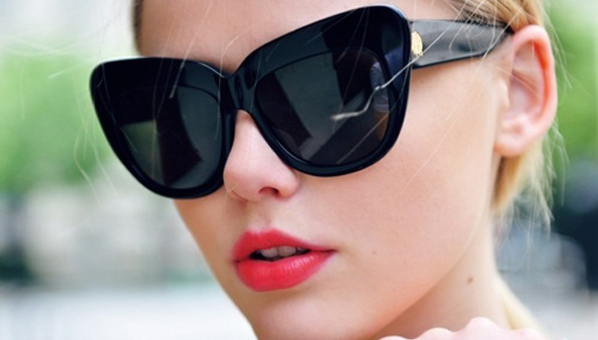 When picking out sunglasses, ensure you choose a style that best suits your face shape and personal style!